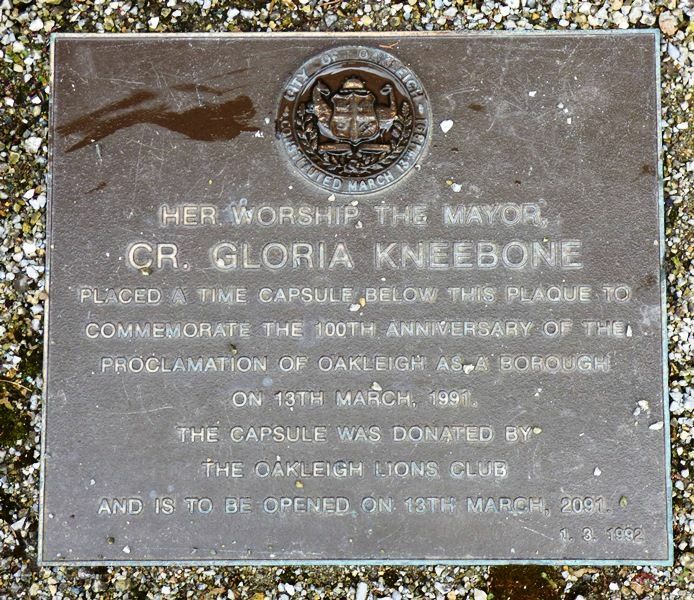 A plaque commemorates the 100th anniversary of the proclamation of Oakleigh as a borough. A time capsule has been placed below the plaque. And Is To Be Opened On 13th March, 2091.